Click on the + icon from the menu bar on the left to view the Lightboxes area (figure below). From here you can view existing lightboxes or create a new one. 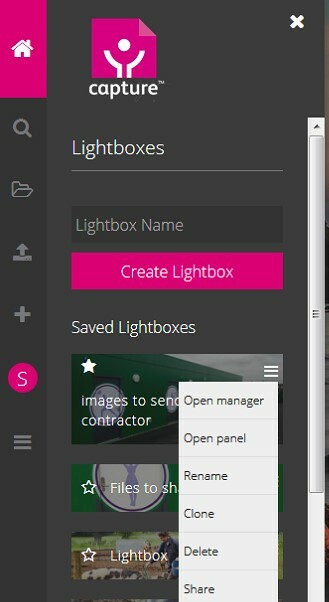 To create a new lightbox, enter the lightbox name, and click on the Create Lightbox button. The lightbox will appear under “Saved Lightboxes” below. To make it the default lightbox, click on the star symbol to the left of the lightbox name. To the right of the lightbox name you will see the mini-menu symbol. Clicking on this displays the options shown below. 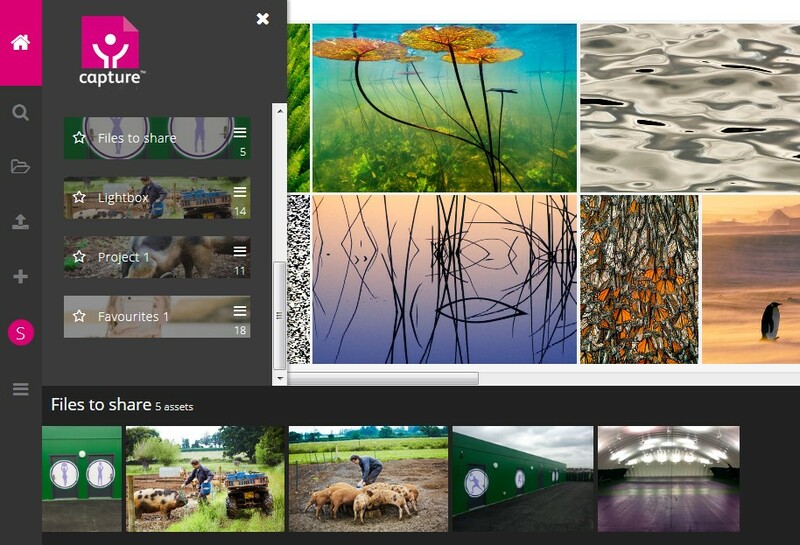 To add an image to a lightbox you can drag it from the search results grid onto the lightbox as shown here. From the lightbox menu you can click on “Open panel” to view the lightbox in a panel at the bottom of the screen. When this is open, you can drag images from the search results above into the panel to add them to the lightbox. 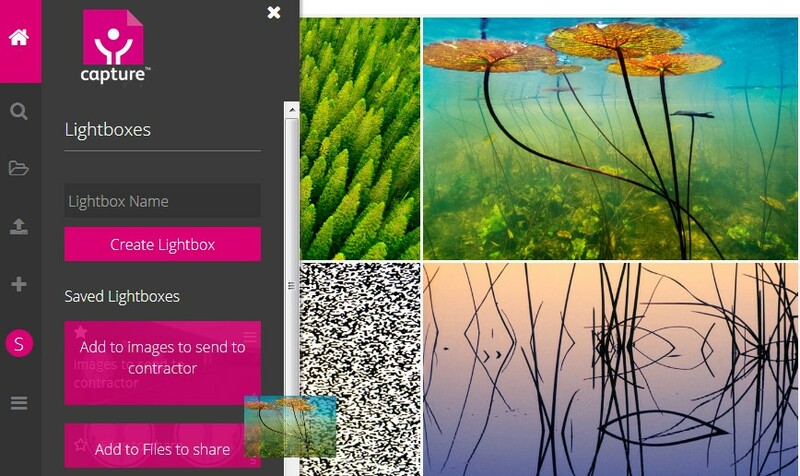 You can also click on the + icon for any image or image preview, and add it to the lightbox of your choice. Use the lightbox menu shown in figure 11 above to select the lightbox manager. This will display the lightbox as shown below. 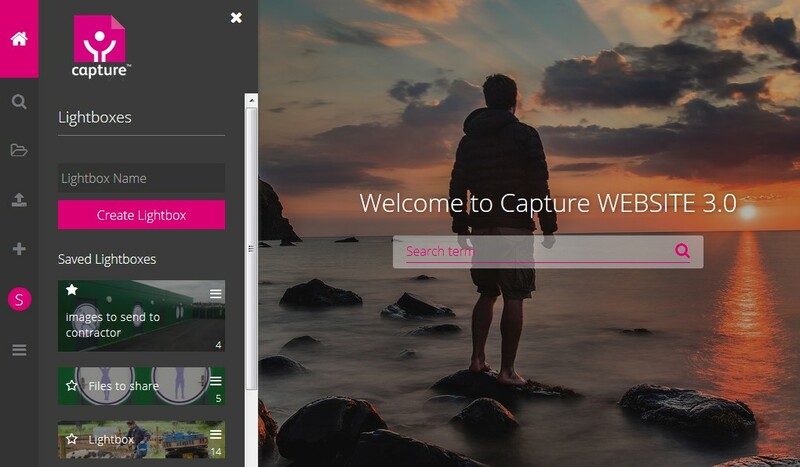 Clicking on the copy or move options will display a list of lightboxes so that one can be selected. If you click on “Delete selected” you will be asked to confirm or cancel. You can rename, delete or clone a lightbox by clicking on the cogwheel icon at the top of the lightbox area.